The paintings to which this volume serves as a catalogue belonged once to one or the other member of the Sarabhai family. But, compared to so many other distinguished collections which the family owned, and later gifted either to the Calico Museum of Textiles or the Sarabhai Foundation-of textiles, pichhwais, manuscripts, Jain artifacts, and south Indian bronzes, among them-they have remained little know till now. There is no dominant theme that runs through the collection, and paintings may not, by themselves, have been a dominant passion in the life of the Sarabhais but the works they collected reflect great discrimination and aesthetic sensibility. What is mote, in the collection there is remarkable breadth and even the casual viewer would be struck by the well- rounded view offers of the broad historical development of Indian painting. 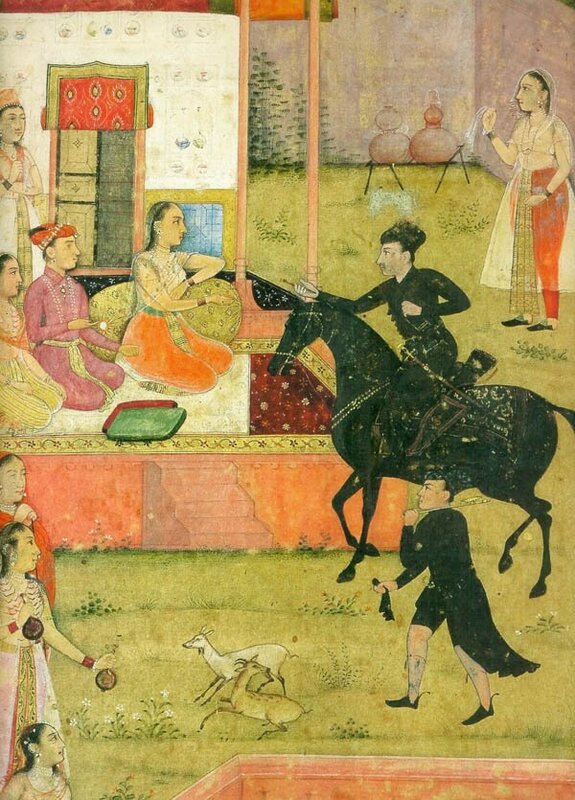 There are works here that come from as early as the 11th century and as late as the 19th; small Pala works on palm-leaf jostle here against some of the earliest works done on paper when that material came into use; Mughal works like those from some of the most celebrated series like the Hamza Nama or the Padshahnama stand close to dazzling folios from the so-called ‘Palam’ Bhagavata; the painter Chokha of Deogarh figures in the collection as much as the great Nainsukh of Guler does. The present volume, authored by one of India’s foremost art historians, invites one, through long and detailed notes, to linger over each work, and savour it. Looking at these paintings with studied leisure can turn into an experience akin to slowly and gently unrolling an unending, embroidered scroll with one’s hands. B.N. Goswamy, distinguished art historian, is Professor Emeritus of Art History at the Panjab University, Chandigarh. 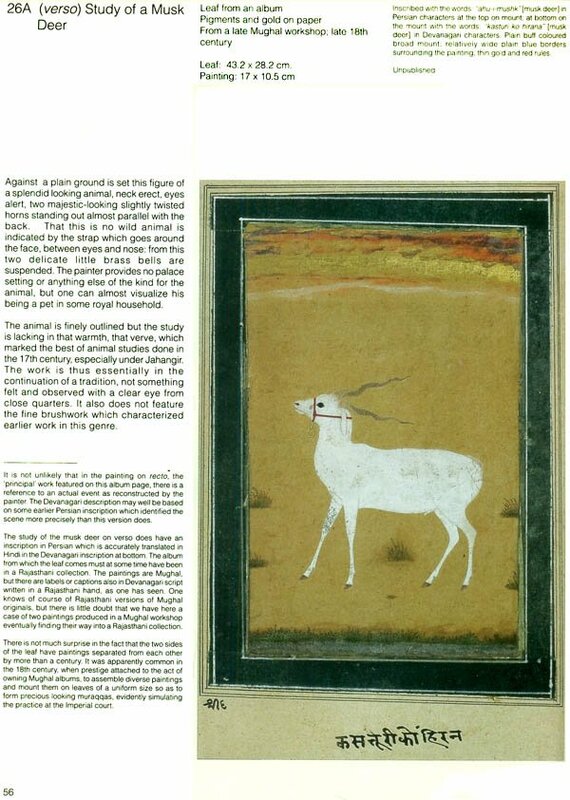 A leading authority on Indian art, his work covers a wide range and is regarded, especially in the area of Pahari painting, as having influenced much thinking. He is the recipient of many honours, including the Jawaharlal Nehru Fellowship, the Rietberg Award from Switzerland for Outstanding Research in Art History, the Padma Shri (1998) and the Padma Bhushan (2008) from the President of India. Prof. Goswamy has written extensively. 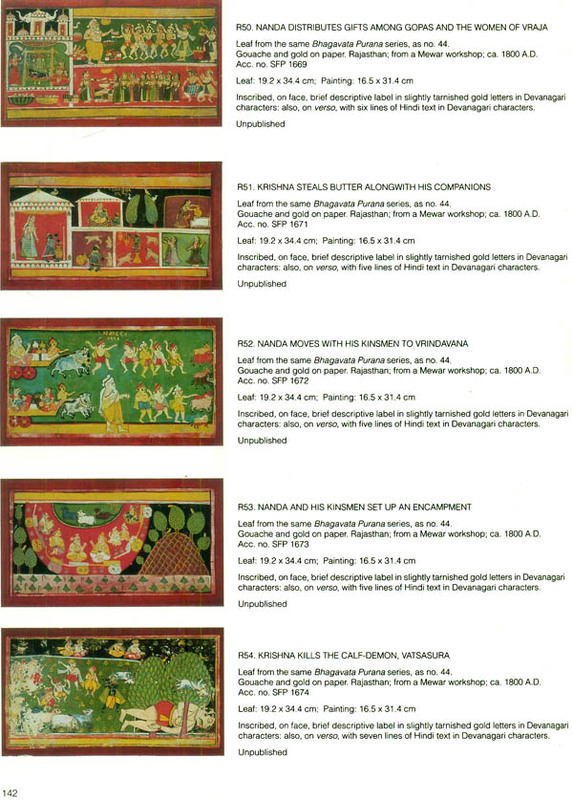 Among his publications are: Pahari Painting: the Family as the Basis of style (Marg, Bombay, 1968); Painters at the Sikh Court (Wiesbaden, 1975); Essence of Indian Art (San Francisco, 1986); Wonders of a Golden Age (with E. Fischer, Zurich, 1987); Pahari Masters: Court Painters of Northern India (with E. Fischer; Zurich, 1992); Indian Costumes in the Collection of the Calico Museum of Textiles (Ahmedabad, 1993); Nainsukh of Guler : A great Indian Painter from a small Hill State(Zurich, 1997); Painted Visions: The Goenka Collection of Indian Painting (New Delhi, 1999); Piety and Splendour : Sikh Heritage in Art (New Delhi, 2000), Indian Costumes II: Patkas in the collection of the Calico Museum of Textiles (Ahmedabad, 2002); Domains of Wonder (with Caron Smith; San Diego, 2005), and I See No Stranger: Early Sikh Art and Devotion (with Caron Smith; New York, 2006). As a guest curator, Professor Goswamy has been responsible for major exhibitions of Indian art in Paris, San Francisco, Zurich, San Diego, and Frankfurt. As Visiting Professor, he has taught at some of the most prestigious Universities, including the Universities of Heidelberg, Pennsylvania, California(at Berkeley and Los Angeles), Zurich, and Texas (at Austin), and lectured extensively at museums and universities in Europe, the U.S., and India. The collection of paintings to which this volume draws attention and serves as a catalogue was not formed in the self- aware manner in which collections so often are: it simply grew over a period of time. All works in it belonged at one time or the other to different members of the Sarabhai family- starting with Sri Ambalal Sarabhai himself- before being gifted to the Foundation of whose holdings they now form a distinguished part. 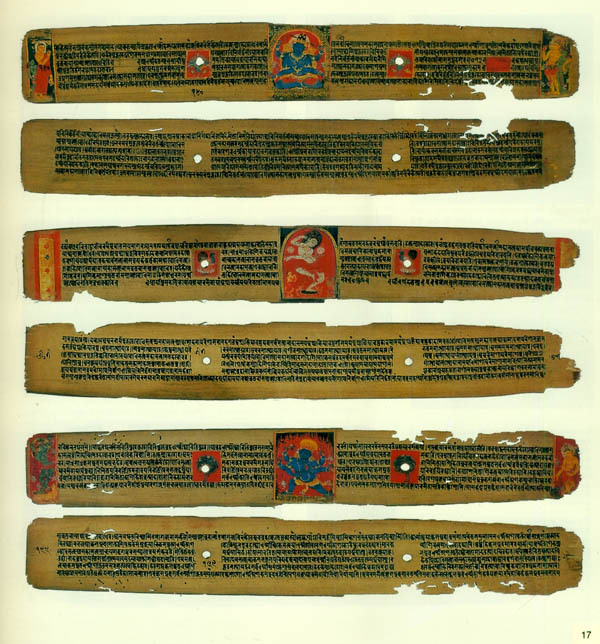 The interest of the Sarabhais in illustrated Jaina/Gujarati manuscripts, of which there are splendid examples in the collection, could be seen as a natural reflection perhaps of the place and the time to which they belonged. But other works seem to have been acquired in response to some inward need, and in recognition of the honoured place they once occupied in the culture in the understanding of which everyone had deep interest. 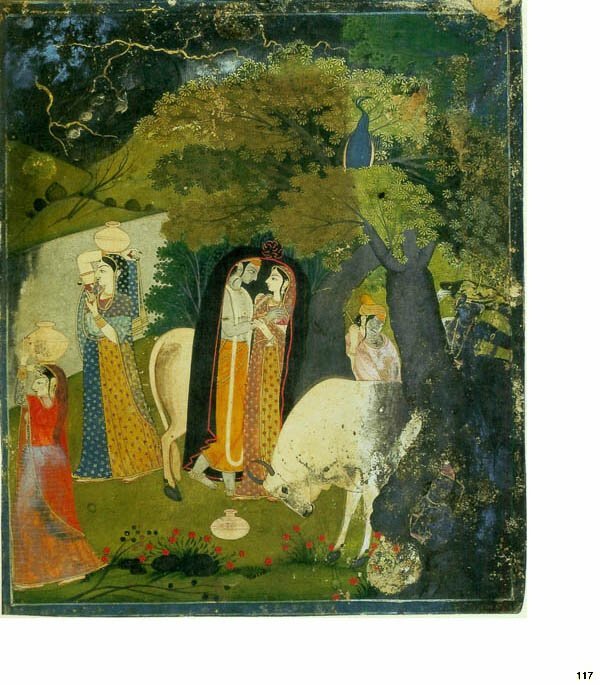 Indian paintings may not have been a dominant passion within the family but their acquisition was also clearly not an accident. Works were picked up, with discrimination and sensitivity, whenever opportunity arose: when dealers came along carrying these among other goods, or news came in of well-known collections breaking up. 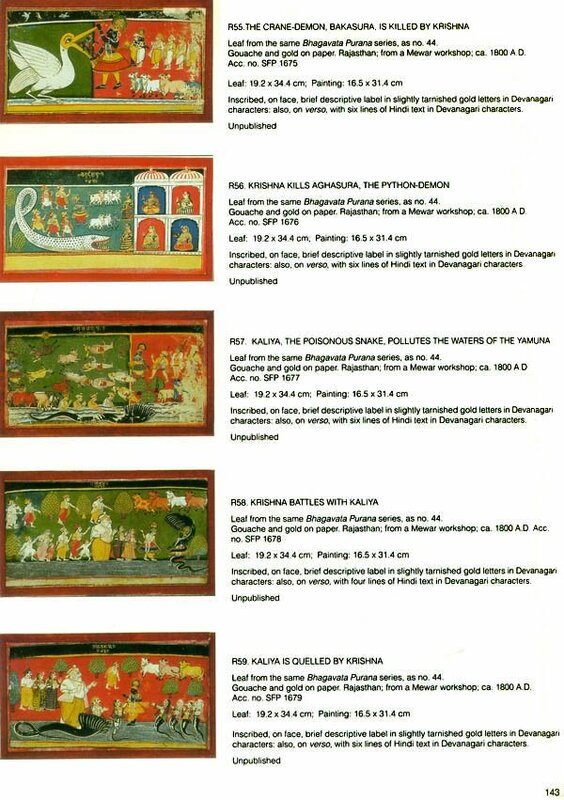 What seems remarkable in this context of sporadic acquisitions, therefore, is the well-rounded view that the group of paintings affords of the broad historical development of Indian paintings, from the 11th century to the 19 th , covering a range of styles, from Pala palm-leaf manuscripts to painting done for Sikh patrons in the Punjab. The present volume is not a complete catalogue of all the paintings in the Sarabhai Foundation: what it covers essentially is the selection of works on view in the newly-installed gallery at the Foundation: in the Jaina section, for instance, or in the gallery showing Invisible Presences, where they ate presented and viewed in a different context. But those are not dealt with here. The focus here is on works in the Painting Gallery: at once representative and attaining to the quality that belongs to and virtually defines each major style of painting in India. A word about the gallery in which the painting covered in this volume are displayed. The installation in the gallery owes its uncommon design to the late Gautam Sarabhai who set out to address himself firmly to that perennial problem of all museums, whether Indian or those abroad: how to show intimate works in a museum context. 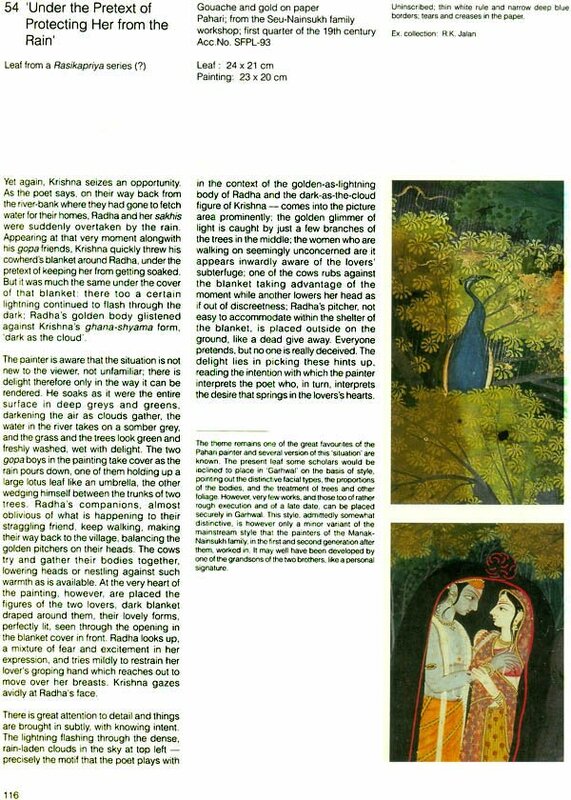 As one sees them usually displayed, Indian paintings which were meant to be seen from close, like books held in the hand, yield no experience to the viewer who walks from one framed picture to the next as they hang against walls, behind glass frames that jostle each other, at a distance and an angle that they were meant to be never seen from. Here, in this imaginatively designed installation, paintings breathe a different life, for here the viewer can approach them from close, sit in front of them or stand, tilt them towards himself, feel that sense of intimacy of contact which belonged to their original context. The ambience in the gallery is quiet, almost contemplative. Here one can not only see the paintings but read them, converse with them as connoisseurs of the past must have done. Apart from paintings on full view, in the gallery there are a large number of others which are seen in visual storage, as it were. Often related to those on display, these can easily be pulled out and viewed. The present volume deals with all that is housed in the gallery, although not at equal length. 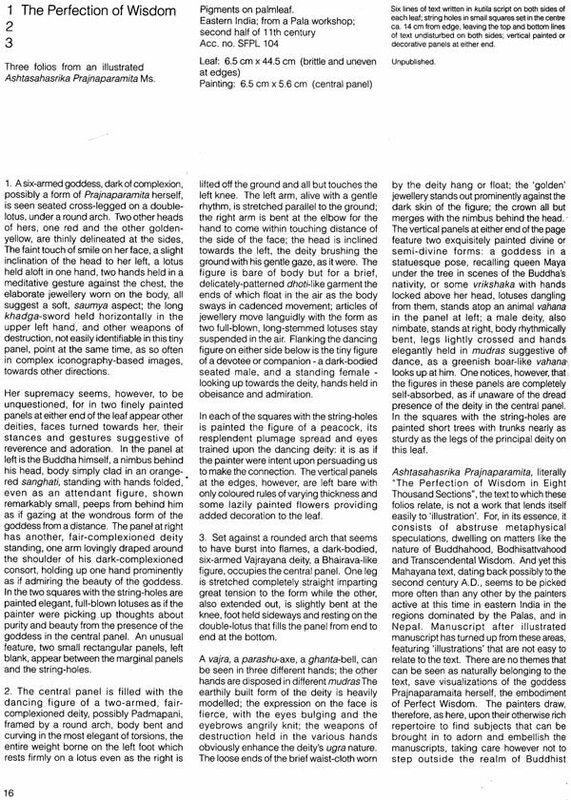 The idea of putting this volume together came from Gautam Sarabhai and Giraben Sarabhai to whom I am deeply grateful. The research was kindly funded by the Gulab Nidhi. The work took its present shape with the generous and consistent help of my colleagues and staff at the Sarabhai Foundation, especially Sarvashri Animesh Sen Gupta, D.S. Mehta, Chandrasekhar, Nigar Gajjar, N.K. Parikh, Gopal Limbad, and Bhikhaji Chauhan. To all of them I owe much. As I do to the members of my family-Karuna, Apurva and Malavika- from whom has always come support and stimulation.